Happy Friday! I for one am CRAZY excited for the weekend. Even though it's been a short week with the eclipse, it's been a little overwhelming....but in a good way. I had a few new clients starting along with my usual follow-ups. On Wednesday night, I taught a CSA cooking class at City Roots farm on eggplant, which was a blast. As a side note, I totally want to trade my husband in for my cooking class sous chef, Matt, who actually knows how to chop onions, is pretty awesome at opening jars and doesn't mind when I bark commands like "check the zucchini!" at him. I also taught class Thursday at an adolescent intensive outpatient program that I've been contracting with a few times a month, which I just LOVE. The team there is amazing and teenagers seriously crack me up. I just love getting a chance to get the non-diet message in early. When I have a crazy week, my body craves food that is satisfying, but also energizing. Lots of fiber-rich carbs, fats and some veggies, but served in a comfort food kinda way, like this refried bean skillet. It was inspired by my favorite college snack/meal - canned refried beans topped with shredded cheese, heated in the microwave and served with chips and salsa. 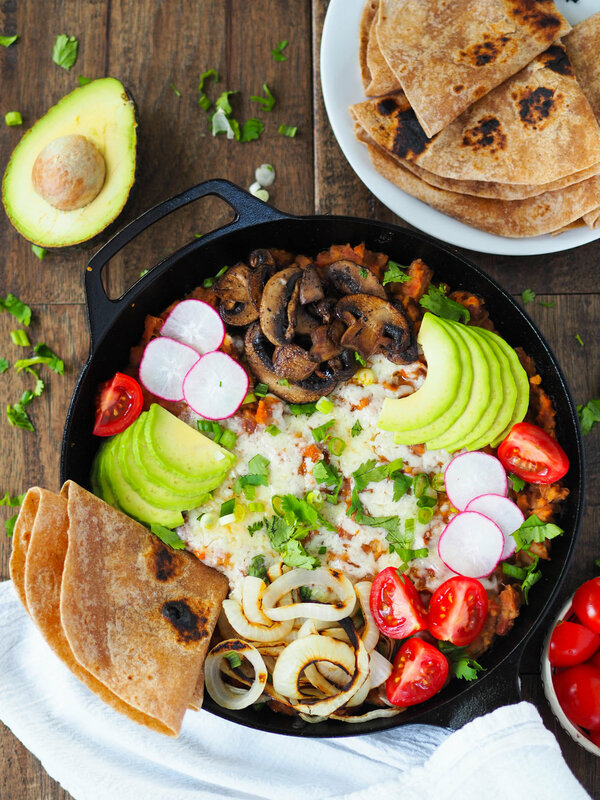 This one is upgraded a bit, with homemade refried beans, extra-sharp cheddar cheese, and lots of veggie toppings, like charred onions, sauteed mushrooms and juicy tomatoes. Serve it with tortillas for dipping, or chips! 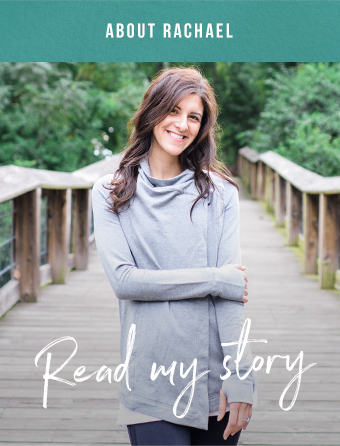 I'm sharing the recipe over on my lovely friend Kara's blog, The Foodie Dietitian, plus some words on emotional eating and why it's not the worst thing in the world. Click here for the recipe!